Fugu fish, and in fact a variation of Torafugu, is gourmet food in Japan. It is often served in restaurants for special occasions or to host important guests. Fugu has become a legend all over the world, and more and more tourists come to Japan to feel the adrenaline. All this is due to poison… Internal organs of fugu contain a strong poison called tetrodotoxin and for many centuries many people died after eating this toxin. However, this didn’t prevent the Japanese from eating Fugu. Over the years, techniques have been improved to neutralize the toxin. Today, only certified chefs have permission to prepare Fugu fish. Thanks to that we are sure that the meal won’t kill us. Research is also underway that will allow to grow Fugu without toxins. Sashimi prepared from Fugu is very thinly sliced, almost to the point where it becomes transparent. The meat is firm and elastic. Such cutting method requires huge concentration and many years of exercise. It makes the fish’s meat the best texture so we can enjoy the food. It is also specially presented on the plate. It is common to lay slices of sashimi more densely towards the center of the plate. The edges of the slices are slightly raised up to create a three-dimensional pattern of a chrysanthemum flower. Each piece of sashimi creates a separate petal. Sashimi from Fugu is dipped in ponzu sauce, which contains soy sauce, citrus juice and broth made from dried bonito flakes and kombu seaweed. Another traditional dish is the Fugu hotpot. It offers a completely different culinary experience. The fish is boiled with vegetables in the pot and this dish is eaten most often in the winter. Fugu fish is delicious (apparently) but also fatal. Tetrodotoxin paralyzes nerves and can even kill a person. Almost every year, several people die after eating Fugu. The location of the poison depends on the species, in Torafugu the liver and ovaries have the highest toxic concentration. The poison is tasteless, odorless and thermally stable. A single fish contains enough toxins to kill several people. The official guidelines that regulate the disposal of poisonous organs apply. They are sealed in special containers to prevent mixing with other wastes or using them for criminal purposes. 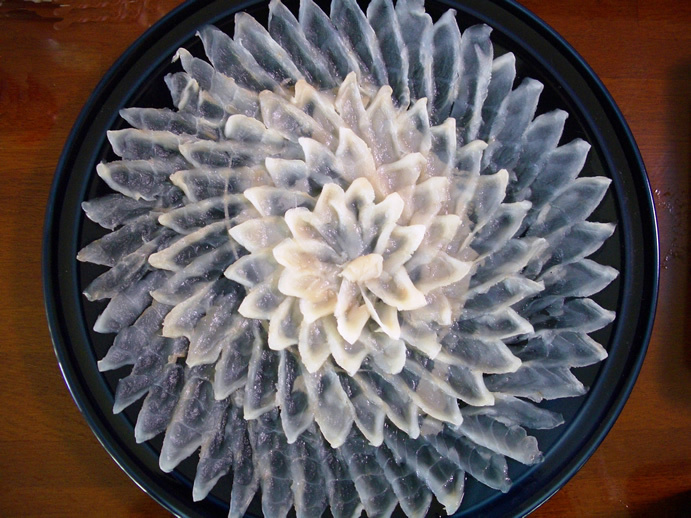 The preparation of Fugu can be legally made only by the chefs who passed the test and obtained a special license. Thanks to this, everyone can eat a fully safe fish, from which all toxic parts have been removed. Fugu fish are also cleaned by specialists and prepared for sale in stores, so anyone can prepare them at home. Some organs of Torafugu are not poisonous, you can easily eat a fugu sperm sack, in Japanese Shirako. It’s a special delicacy that is usually steamed or baked. There is no toxin in it and it is delicious! Apparently. The dried fish mouth is put into the hot sake and covers with a lid. When we wait a moment, sake get the taste of fish mouth and is delicious! Apparently. 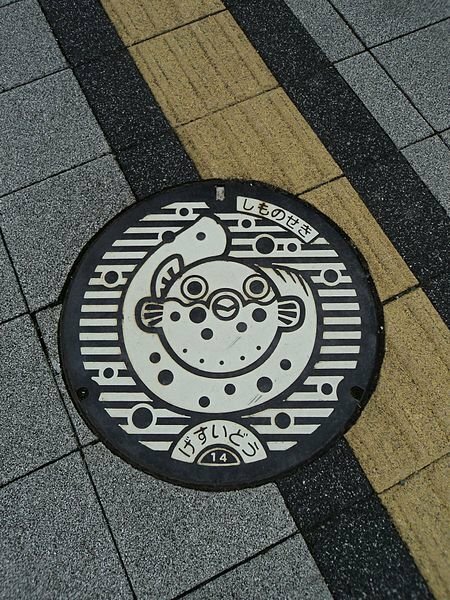 The capital of Fugu is Shimonoseki, throughout the city there are painted images and fugu statues. From the market Karato Fugu is sent to the whole Japan. You can also try a freshly caught fish, which is prepared immediately on the spot and sold to people. Fish, which is quite an expensive food, in Shimonoseki is also much cheaper and the dishes more varied. You can eat, for example, a fugu burger. Japanese have been eating fugu for over 2,000 years. The first restrictions on fish eating were issued by Toyotomi Hideyoshi. He recruited volunteers for the war with Korea, but unfortunately some of them died after eating Fugu. So Hideyoshi forbade it. For a long time, preparing meals from Fugu was officially completely forbidden. However, the fact that something is banned doesn’t mean that people don’t do it. They ate Fugu in secret. And they died secretly. The famous poet Yosa Buson even wrote Haiku about fugu. As we can see, Fugu fish has been appreciated for centuries as a culinary specialty and also as an aid in unhappy love. The lyrical subject in the first verse feels relieved that he survived after eating Fugu. The lyrical subject in the second poem, expresses his hope that Fugu will help him to end his life. One fish, and so many emotions! Over time, fugu fish became less and less deadly, as techniques for removing toxic organs and even preparing them were improved. There were several ways, because different prefectures had their methods. For example, the most poisonous organ, which is liver was rubbed with salt and placed in barrels with rice bran for 2 or 3 years. After that time, it was ready for safe consumption. 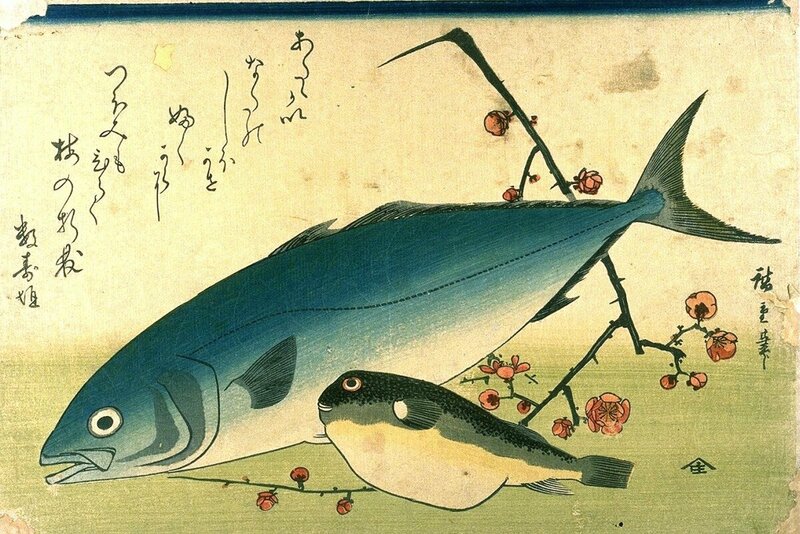 Even in the 19th century, fugu food was still banned. Everything changed after the incident in Shimonoseki. An important personality, Japanese Prime Minister Hirobumi Ito went there to a restaurant that had no other fish but the forbidden fugu. They prepared it for the prime minister, who delighted in fugu taste. At first, he abolished the ban on the Yamaguchi prefecture, in which Shimonoseki lies, and in subsequent years other prefectures were allowed to eat fugu. Everyone can now eat a properly prepared and safe fugu. 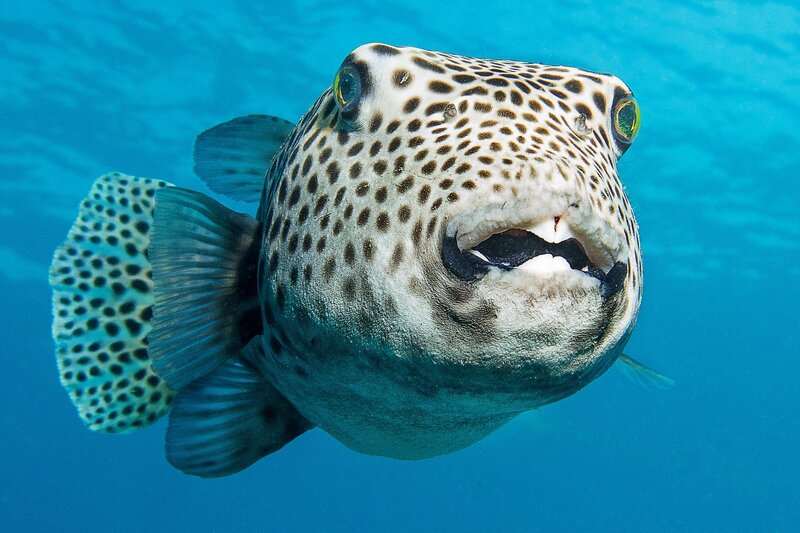 However, research is under way to develop a fugu that is naturally free of lethal toxins. Fish don’t produce their own toxins, but it store toxins from starfish and shellfish that fugu eats. These creatures feed on the Vibrio bacteria that produces tetrodotoxin. In order to remove toxin from fugu, it should be cultured in sterilized ocean water and fish food also doesn’t contain Vibrio bacteria. Thanks to this, the fish is completely edible. Even livers are free from toxins. Despite the many years of breeding of non-toxic fugu, the Japanese government still refuses for the possibility of selling the liver as a local specialty. They aren’t convinced that indeed every single fugu will be safe. However, breeders are still not giving up and are trying to approve their breeding method. The fugu fish must have something special in it, since the Japanese have been eating it for thousands of years despite prohibitions and even the risk of death. They writes poems about fugu, and make paints with fugu. Ah, fugu! If only I could taste you! Well, unfortunately I didn’t try it. Not because I was scared. Scared for what? Death?! Who would care about such silly thing? Definitely not me. Next time I will definitely try, and you will be the first to find out about it. And how about you? 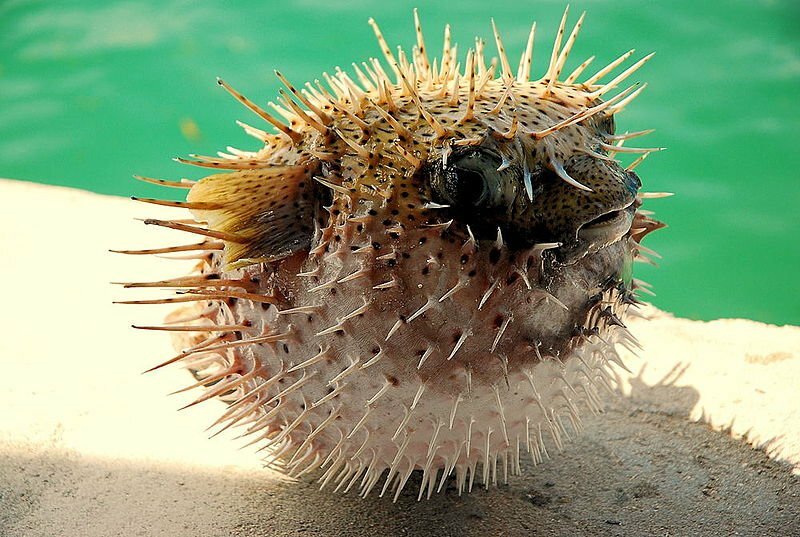 Would you eat a piece of fugu?